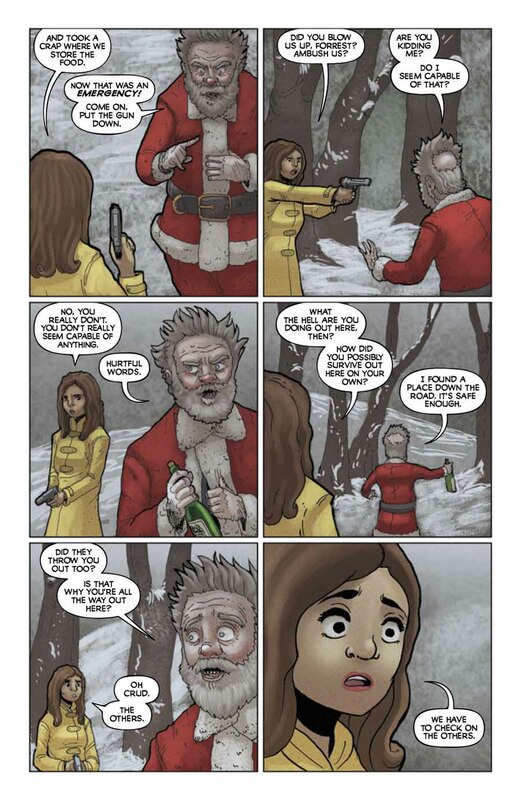 The second issue of Kyle Starks and Gabo’s horror-comedy miniseries finds our zombie-fighting heroes getting some help from a drunk mall Santa. 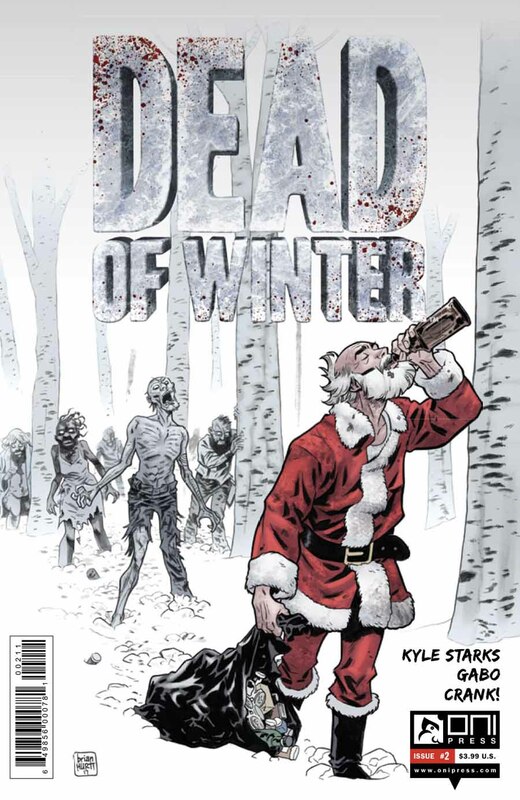 I enjoyed the first issue of Dead of Winter, Kyle Starks and Gabo’s horror-comedy miniseries based on the game by Plaid Hat Games. 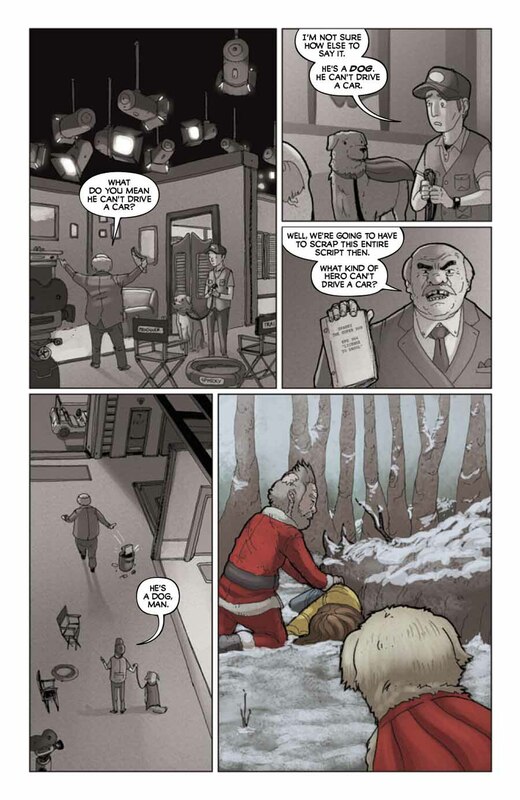 Oni Press has sent out a preview of the second issue, which features our zombie-fighting heroes getting some help from the man in red and white — Santa Claus. Or a drunk mall Santa, to be precise. 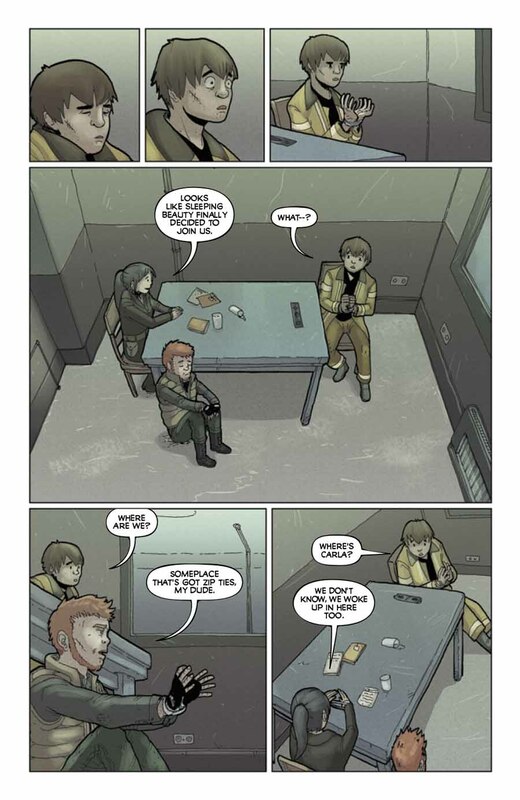 You can find the preview and solicit info below. 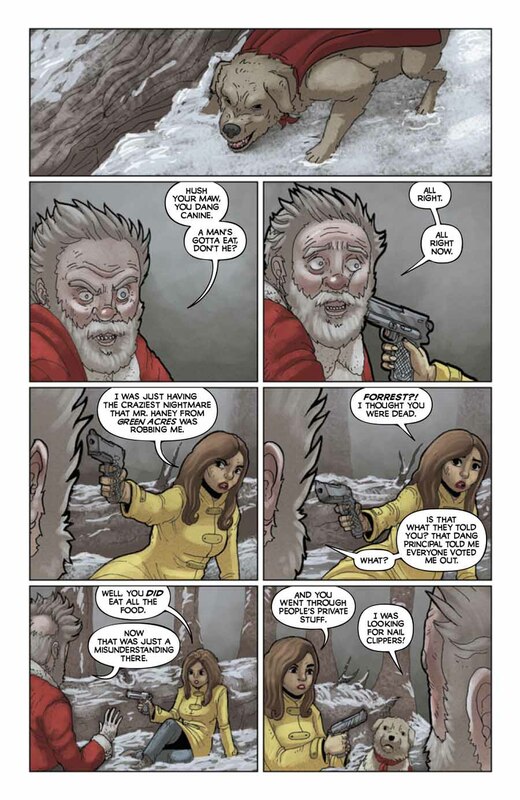 Dead of Winter #2 comes out on Wednesday. 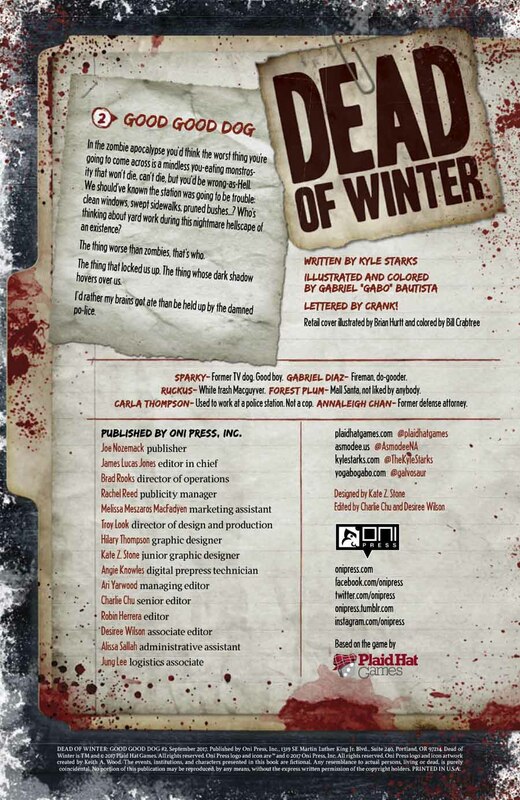 Stuck in the freezing Zombiepocalypse that is Dead of Winter, how could things get any worse for our intrepid heroes? How about they get blown up and “rescued” by a drunk mall Santa? 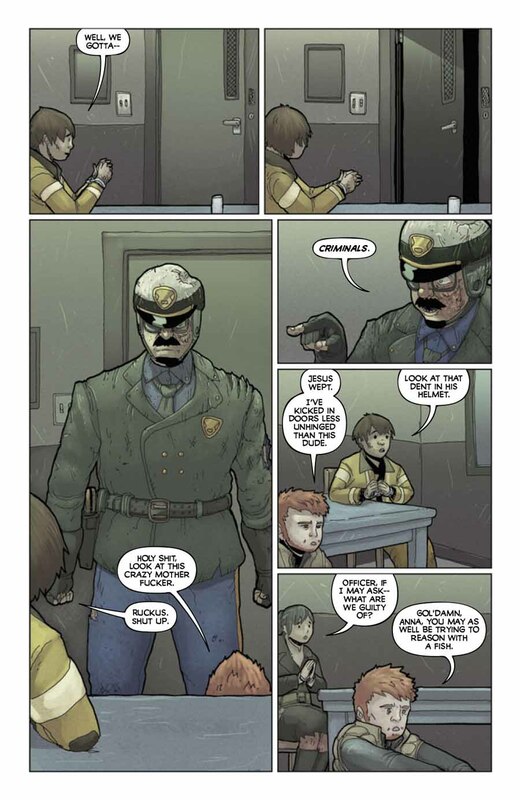 How about being held captive in a police station by an insane police officer while it slowly becomes overrun by the zombie menace? That’s being stuck between rock and a hard place, friends!